Read how EPC Services realized the advantages of using software over spreadsheets to make more accurate bids in less time. Read how Kitsaki Projects adopted a unified approach to estimating and field performance tracking, and better link the two operations. Read how Bluebird Contracting, a Trotter & Morton Company, replaced paper forms with B2W Inform to achieve better data capture and optimized operations. Read how W.L. French has used B2W solutions to increase bid speed and accuracy, more proactively manage maintenance and scheduling, and effectively capture daily field data with the B2W ONE Platform. Read how Emil Anderson streamlined the previously inconsistent flow of information between estimating and field tracking. 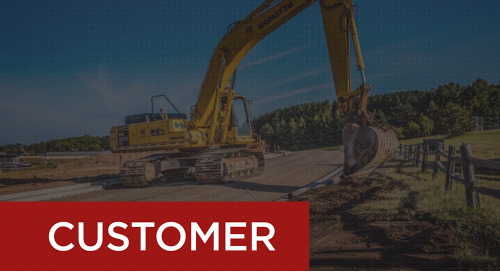 Read how the integration of B2W Estimate has paid big dividends for the company's DOT, earthwork and utility projects. Read how this early adopter of B2W Estimate evolved to later integrate Track, Dispatch and Maintain to solve the company's key challenges. Read how Team Fishel united its nationwide operations with B2W Estimate and realized time savings and greater accuracy. Read how the ease of use and centralized resources of B2W Estimate have helped Pomerleau standardize its estimating and bidding process. Read how B2W's Estimate and Track solutions have allowed GS Holdings to improve performance, cut costs and scale up capabilities as it grows. Read why Joseph McCormick Construction found B2W Estimate and Track to be a far better solution to Excel spreadsheets and homemade calculations. Read how Gerber Construction benefits from key features of B2W Estimate, such as multi-user functionality, access control, and the ability to break down large bids. Read how B2W Track, Maintain and Dispatch have helped C.A. Hull improve efficiencies through a single operational database and entry point. Read how DDS Companies was able to confidently get up and running with B2W Estimate and start simplifying the bidding process right away. 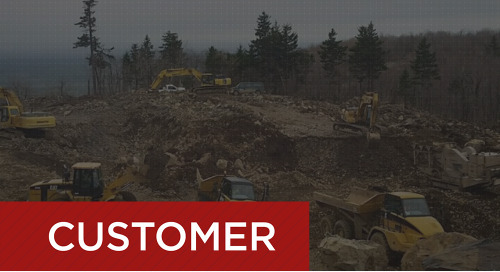 Read how B2W Estimate and Track helped C.S. McCrossan avoid costly errors and receive more timely, impactful data. Read why Lyndon Jones Construction ditched spreadsheets in favor of B2W Estimate to help improve its bidding process.